Have you ever been convulsed with disgust at your smartphone screen, lobbing it across the room in frustration because you couldn't decipher the blocky pixels when trying to see what everyone else was up to on Facebook? Of course you haven't, unless you're still using an old monochrome Nokia to play Snake. If, like most of the world, you're using a reasonably recent smartphone then you're more than likely quite content with the number of pixels your screen can push, and are more concerned with pressing matters such as battery life. That's why I can't help but feel that the Sony Xperia Z5 Premium, which is the world's first smartphone with a 4K capable screen, is a bit pointless. Potentially interesting hardware has been squandered in a bit of “who's got the most pixels” willy waving. I'm not some Luddite that still clings to his Etch A Sketch and claims it's the greatest hand held entertainment system ever, and although I have plenty of respect for concerned textile workers, I also think the constant march of technological progress is generally A Good Thing. But is 4K resolution on a 5.5-inch screen really necessary? Sure, it'll make 4K films and even upscaled 1080p footage look great, but if I want to get a cinematic fix, my smartphone is the last place I look. If I'm quickly firing off emails, browsing the internet, or playing some addictive games, that's when I'll whip out my smartphone. Oh, or ringing people. None of those activities will benefit from 4K, and in some cases the ultra-high definition could cause more problems. Web pages, for example, will need to be scaled up and zoomed in if you want to read them comfortably, and games will still run at a maximum of 1080p. This is because with the Xperia Z5 Premium being the only 4K smartphone at the moment, it doesn't make a lot of sense for game and app makers to make 4K content. My biggest concern, however, is battery life. A large (by smartphone standards, at least) display running at a 3,840 x 2,160 resolution (for a pixel density of 806ppi, pixel counting fans) takes a fair bit of juice. As someone who'd rather my smartphone got me to the end of the day than chewed through my data allowance by streaming 4K Netflix, I don't want to suffer poor battery life just so a company can put a larger number on its box than its competitors. I should point out that Netflix doesn't seem to have any plans at the moment to supply 4K content to the Xperia Z5 Premium's Netflix app, which brings up the problem of lack of content. What will you be watching on your 4K smartphone except for the 4K footage you filmed yourself? Regarding battery life, to Sony's credit it has provided a large 3,430 mAh capacity battery that it promises will last up to two days. We shall see about that. There's one perfectly acceptable answer to all my moaning: if you don't want a 4K capable phone, don't buy one. 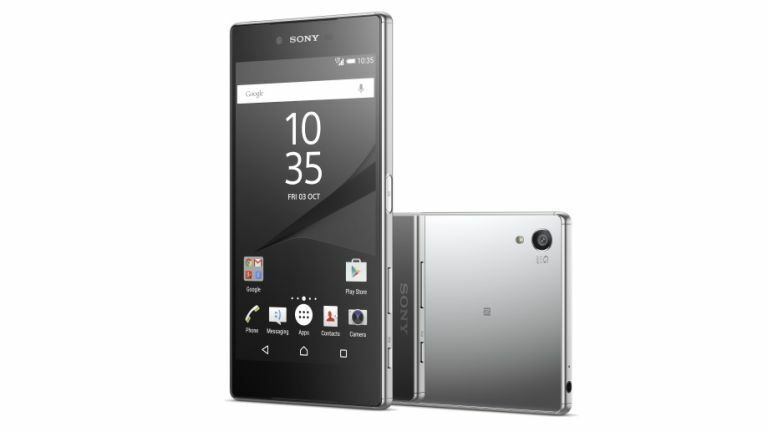 After all the Xperia Z5 is also available and offers a similar level of power to the Xperia Z5 Premium, but with a more sensible (or depending on your viewpoint, boring) resolution of 1080p. In the end, it's rather admirable in some ways that Sony has fitted a smartphone with a 4K screen. It shows just how far mobile technology has come. But when your position is as dire as that of Sony's mobile division, and you're struggling to keep up with your competitors, is an expensive gimmick that won't benefit the users really the way to go? Sadly, I don't think so.